Vintage Oaks welcomes visitors with its stunning natural beauty, towering trees, winding roads, and sparkling amenities. Residents enjoy being surrounded by natural beauty while still living close to major cities like Austin and San Antonio. New Braunfels offers some of the best schools, dining, and entertainment in the area, and all serve to enrich life at Vintage Oaks.  At Vintage Oaks, you’ll enjoy both community events and entertainment opportunities in nearby New Braunfels. There’s something to do year-round, no matter what your interests. There are plenty of things to do in this historic town. Float the Comal and Guadalupe Rivers. Enjoy live music while you dine at The Gristmill. Stop by Texas’ oldest dance hall, the historic Gruene. Here are a few more of the best things to do in New Braunfels. Landa Park – Feed the ducks or play a round of mini-golf at Landa Park. This large park has been an oasis since 1898. It has a lake with paddle boats, a miniature train, tennis courts, and two hiking trails. McKenna Children’s Museum – Enjoy family time with interactive, hands-on exhibits. Visitors learn about space, explore new technology, and gain new insight into everyday experiences. Explore Downtown New Braunfels – Beautiful historic buildings, eclectic shopping opportunities, and top-notch dining experiences are in abundance in downtown New Braunfels. Visit the oldest bakery in Texas and explore the fountains and sculptures in the Main Plaza. Vintage Oaks residents say one of the best things about life in the community is their neighbors. Vintage Oaks offers kindness and companionship it’s hard to find anywhere else. People fall in love with the views and the amenities, and the relationships they form just make everything better. To arrange a tour or find out more, contact Vintage Oaks today.